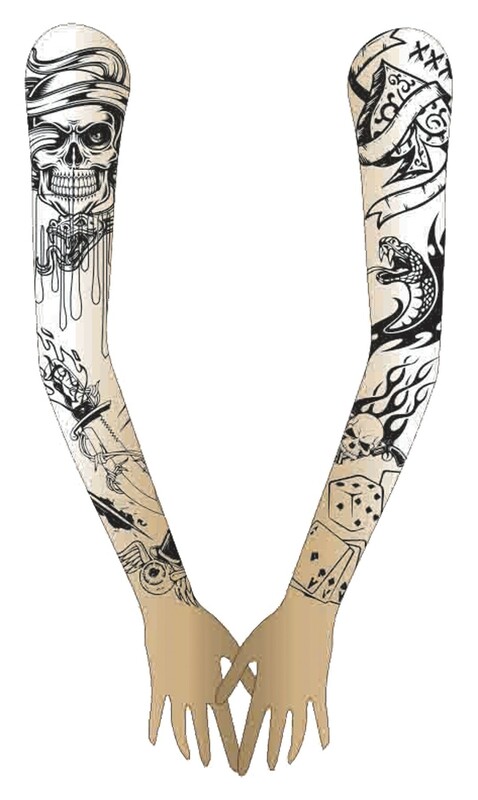 Toughen up your Halloween costume with this Tattoo Biker Shrug. This is your night to know what it feels like to walk around with a full sleeve of tats. The shrug fits comfortably like a cardigan and features printed tattoo ink work. 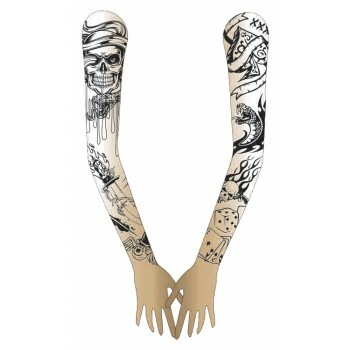 This tattoo shrug works great with biker, vampire, or gothic-inspired outfits.